where R is the required return. For example, suppose the Paradise Prototyping Company has a policy of paying a $10 per share dividend every year. If this policy is to be continued indefinitely, what is the value of a share of stock if the required return is 20 percent? The stock in this case amounts to an ordinary perpetuity, so the stock is worth $10/.20 = $50 per share. An asset with cash flows that grow at a constant rate forever is called a growing perpetuity. As we will see momentarily, there is a simple expression for determining the value of such an asset. The assumption of steady dividend growth might strike you as peculiar. Why would the dividend grow at a constant rate? The reason is that, for many companies, steady growth in dividends is an explicit goal. For example, in 2000, Procter and Gamble, the Cincinnati-based maker of personal care and household products, increased its dividend by 12 percent to $1.28 per share; this increase was notable because it was the 44th in a row. 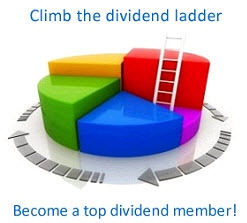 The subject of dividend growth falls under the general heading of dividend policy, so we will defer further discussion of it to a later chapter. The Hedless Corporation has just paid a dividend of $3 per share. The dividend of this company grows at a steady rate of 8 percent per year. Based on this information, what will the dividend be in five years?